The most intelligent community of Washington Redskins fans on the web. The NFL is King - feel free to pay your respects. Man cannot live by Redskins alone. Caps, Nats, Wizards, DC United, local college sports, and beyond. Stop by for a cold one and some casual conversation. Norm! Rant, Rave, Opine on all things political, religious, or controversial. But play nice. Enjoy classically hilarious NFL cartoons from genius John Tayman! 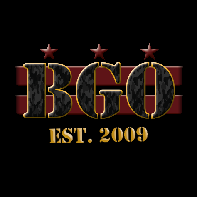 BGO answers and site improvement suggestions. Thanks, I will see what I can do ! We're going to add a version of these to our rotating image banner - awesome!